Repairs to the walkway have now been completed and anglers can now fish the entire length of the Admiralty Pier with the usual conditions applying to when Cruise Liners are berthed on the second half. The Mackerel are currently plentiful and several large bass have already been landed by those targeting something more challenging. For those bottom fishing, Smoothounds are also plentiful and offer excellent sport. It has been a while coming but the Admiralty is once again the hot ticket in Kent at this time of year. 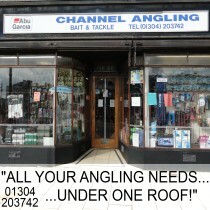 Get yourself down there and enjoy a great days fishing. Stay in touch with our Facebook page for the latest news.